An ideal place for animal versus animal comparison. 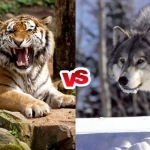 Who will win the fight between Wild Dog and Gray Wolf? Wild dogs or African wild dogs are also known as painted dogs or cape hunting dogs, they are the second largest member in wild canidae family just behind the gray wolves who are the largest extant species in canidae family. 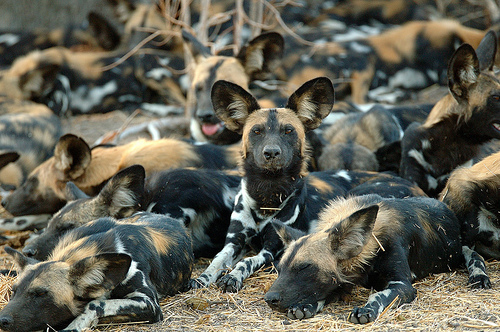 Lycaon pictus is the scientific name for wild dogs and they are in endangered protection status as described by IUCN. Gray wolf who is also known as true wolf or timber wolf is the world largest extant animal of canidae family which weighs up to 47 kg and its length varies from 4.9 ft to 5 ft 5 inch including head & body. They are also considered in endangered protection status by IUCN. Wild dogs which are just behind the gray wolves can weighs up to 32 kg with the body length of 4 ft 2 inch including head. They are found in African savannas and lightly wooded areas. Females are smaller than males and western African wild dogs are generally smaller than southern African wild dogs due to natural habitat. 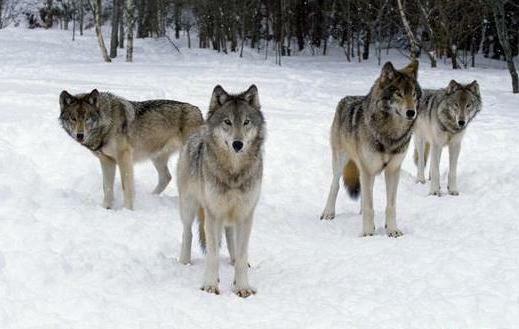 Gray wolves are found in Europe, Asia and North America especially in Alaska & Canada. They hunt in group called pack, and they prey on big and medium sized animals like moose, muskoxen, deer and bison on the other side African wild dogs also hunts in group name pack and they mostly prey on small and medium size animals like impala, gazelle, calves of wield beast, antelope and springbok. After killing their prey wolves became aggressive while eating on the other side wild dogs share their prey quiet calmly. Wild dog can run with a great speed of 68 km/hr for a long distance and they hunt till the death of prey that’s why their hunting success is 81% on the other hand gray wolf can run with the speed of 54 km/hr to 69 km/hr and they can quickly achieve a speed of 45 to 55 km/hr. Both wolves and wild dogs have unique identification symbols from which they have been identified, wolves have the unique howling through which they can communicate and on the other hand wild dogs have the unique marking on the body from which they have been identified and it’s a fact that no two wild dogs have the same marking. Now before going further let’s take a brief look in the given below table on compare wild dog Vs gray wolf. Wolves preys are bigger and larger than African wild dogs which makes them dangerous than wild dogs in hunting but wild dogs hunt technique is far better than wolves that’s why their hunting is 81% success. This is a case where both canidae family members hunt in a pack but here we are talking about their individual comparison and fight. As according to shape and size wolf has the upper hand over wild dogs as wolf is heavier, larger, taller and have bigger canine teeth than African wild dog, which make a sense that it can kill the wild dog quiet easily but it is not an easy task as it looks for wolf because wild dogs are very intelligent and they can easily found their opponent weak point. 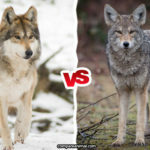 At last I would say if there is a fight between African wild dog and Gray wolf then there is 80% chance of winning for Gray wolf. The question is who will win if the fight is between “packs”? A peony wild dog stands no chance against a wild wolf..
Of course, a prime pride boss male lion would destroy both of ’em.. Even though I love wild dogs you need to give the win to the wolves. Wild dog. 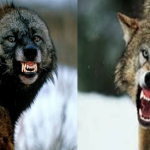 They have a much more agessive personality and will scare the wolf away with their persistence. But it would also depend on the individual animal. Seems like the poll got mistaken for “whats your favourite” though. Having had experience with both and also domestic dog I can say beyond a doubt a grey wolf has the ability to kill both a domestic dog and the African wild dog. However it would have to be cornered with no way out as the domestic dog ie pit bull will willing fight to the death without a doubt as this trait has been bred into them for over 200 yrs. In the case of wild dog and wolf both have and instinct to quit if serious injury is probable. Dog gets trashed, thrashed and razzamatazzed. One on one, almost any species of wolf would take down a wild dog. The wolf is simply too powerful. In packs, it is a numbers game. 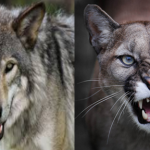 © Copyright 2014-2018 Animal vs Animal Comparison Blog.